Unfortunately one of the gifts that nature provides as humans age is degenerative arthritis. Modern medicine has not come up with a regenerative answer to fix the problem of arthritis, and also has not figured out how to stop the problem from occurring. Most middle aged and older individuals have a baseline level of arthritis. If a fall occurs at work, or an auto or motorcycle accident occurs, the pain from the arthritis may exacerbate and lead to chronic pain. 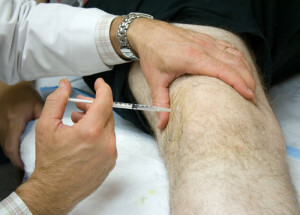 In those situations, a joint injection with pain medicine may lead to significant relief. Arizona IMA offers these injections with a Double Board Certified workers compensation pain doctor (and personal injury). When a person has pain in a joint such as the knee or the hip, the typical work up will include x-rays to see the extent of arthritis or other issues present, and potentially an MRI may be necessary to evaluate for a meniscal tear or loose body or other abnormality. For those with degenerative arthritis and an exacerbation from an injury, nonoperative treatment typically consists of anti-inflammatory medications and Tylenol, physical therapy, TENS units, ice/heat, Analgesic cream, and an injection into the painful joint. The gold standard for injections into the joint is to use corticosteroid, which is also known simply as steroid injections. These medicines are heavy-duty anti-inflammatory, and typically provide excellent pain relief for weeks to months at a time. Over the past 60 years, they have been used extensively for joint pain due to arthritis pain and acute injuries such as meniscal tears. Initially, these injections were used for inflammatory arthritis situations such as rheumatoid arthritis. Initial studies showed a potential damage to cartilage with the steroid medication used, but subsequent research did not confirm this. So joint injections began to be used for degenerative arthritis as well, and they have been used extensively ever since. Steroid injections do not fix the problem causing pain. But a lot of the time there is no fix for the problem, outside of a last resort joint replacement. So the best option then is conservative pain management with physical therapy, pain medication, and the injection into the joint. Most joint injections can be done right in the office exam room or in a procedure room. If it’s a hip joint, for instance, there is quite a lot of soft tissue between the skin and the joint so fluoroscopy helps with accuracy. Most injections take about 10 minutes with a workers compensation pain doctor in Phoenix, and provide instant pain relief since numbing medicine is included with the steroid medication. The numbing medicine will wear off after 12-24 hours, and then the steroid medicine will “kick in” for pain relief. This may last for a few weeks, or a few months. At that point, it can be repeated. 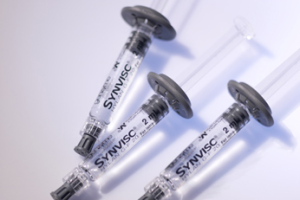 One type of injection that has gained popularity over the past decade is hyaluronic acid injections, such as Synvisc. 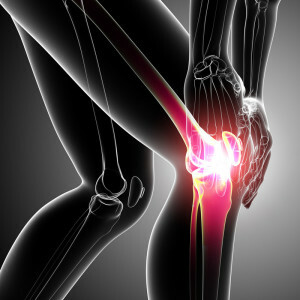 These injections offer pain relief and theoretically spur on the joint to make cartilage, but this has not been proven. These medications have been FDA approved for numerous joints. Side effects of steroid injections into joints are very low. There is a low risk of infection, bleeding or an allergic reaction. The main risk is that the injection won’t work. With cortisone, there is also a slight risk of transient weight gain, elevated blood sugar or water retention. Within a few days, this usually goes away.